Rescale’s ScaleX Enterprise Portal allows administrators to have fine-grained control over the their members’ spending on the ScaleX platform by setting up Groups and Projects. In this post we’ll explain what these concepts are and how to use them. Groups on the ScaleX platform are groups of members – they are useful mainly for their relationship to other entities like projects. Projects can be limited to participating groups, which allows administrators to control which members participate in which projects. 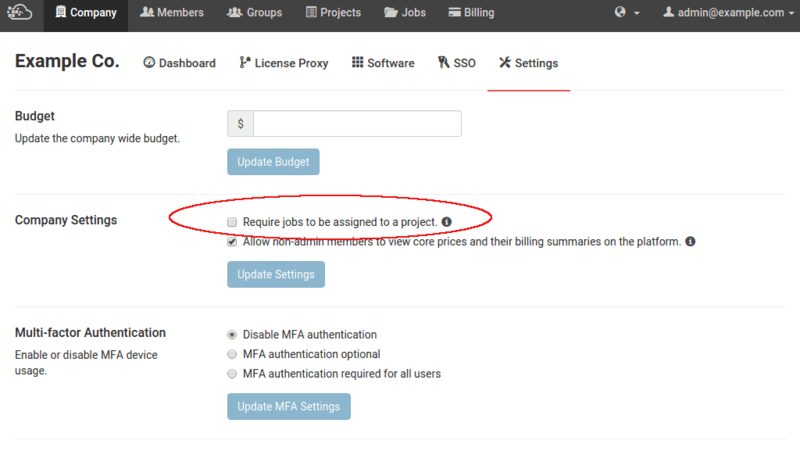 Projects on the ScaleX Enterprise platform are labels that members can assign to jobs. For instance, a company may decide to use a ScaleX project for each real-world product they are developing, or a consultancy may use a ScaleX project for each client project they have. 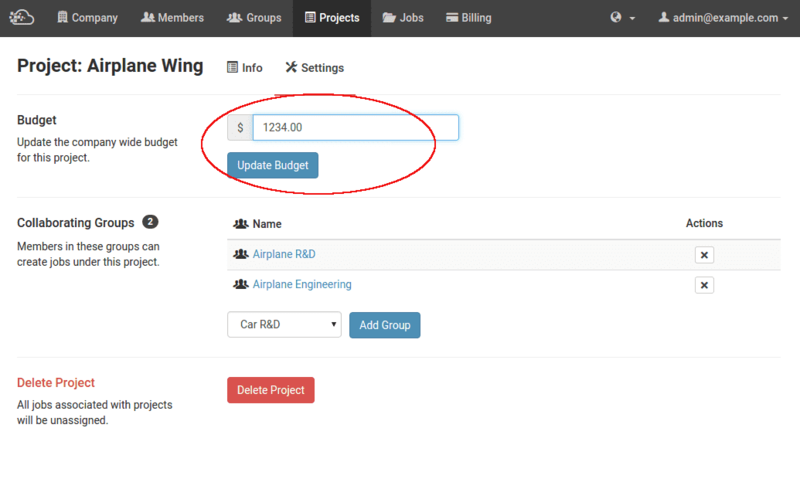 Administrators can control the spending on projects by setting a budget for each project. Project budgets, coupled with the ability to require jobs to be assigned to projects, allow administrators in-depth regulation over the spending of their members. Now, the administrators would like to determine which members can participate in these projects. 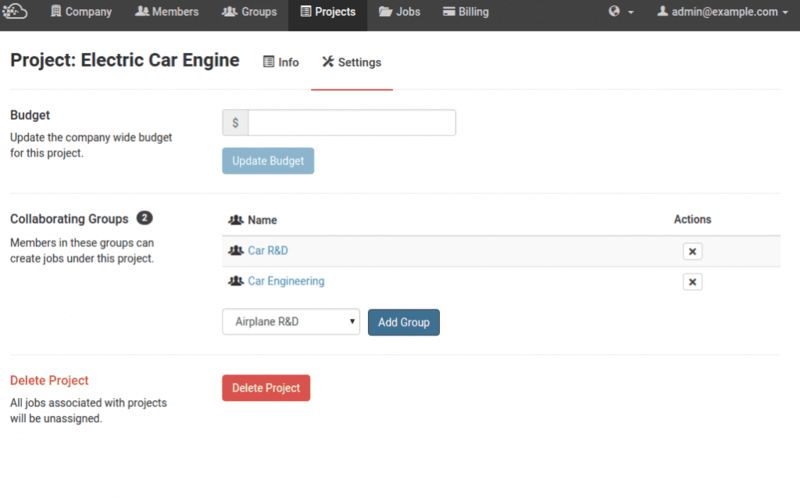 The internal Example Co. groups are Car R&D, Car Engineering, Airplane R&D, and Airplane Engineering. 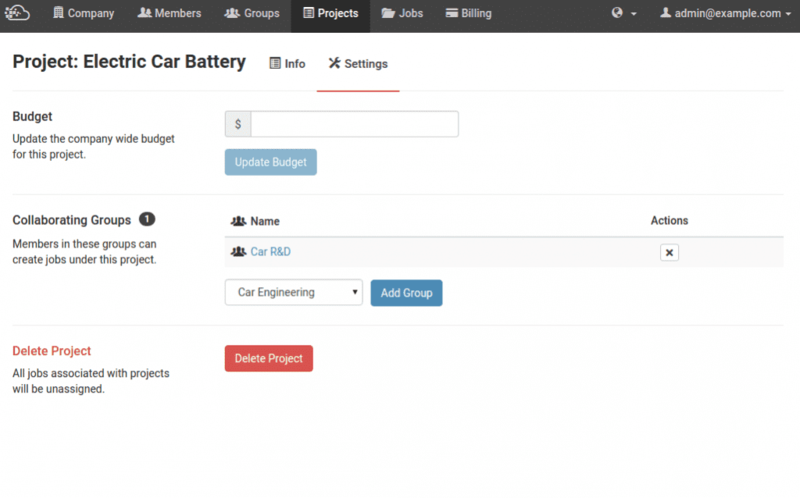 The administrators would like Car R&D members to be able to participate in both the car jobs, Car Engineering to be able to participate in only the Electric Car Engine project, and both of the airplane groups to be able to participate in the Airplane Wing project. Members will not be allowed to exceed the budget on jobs assigned to project. Whenever a member creates a job under a project, the project budget will be checked and if it would be exceeded, the job will remain queued. 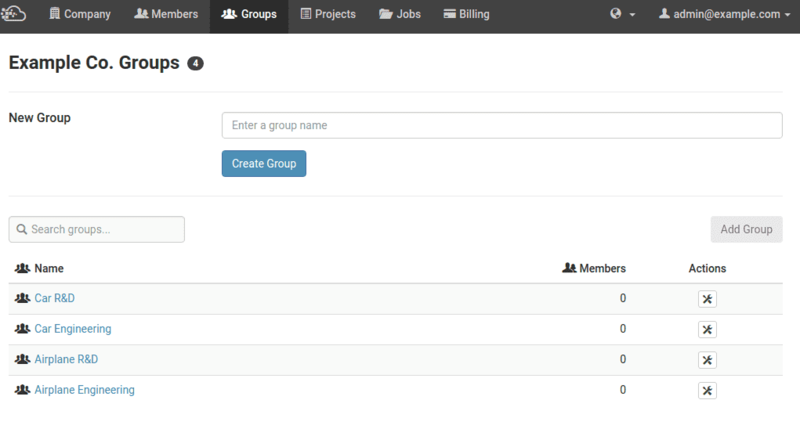 Members can be added to more than one group. 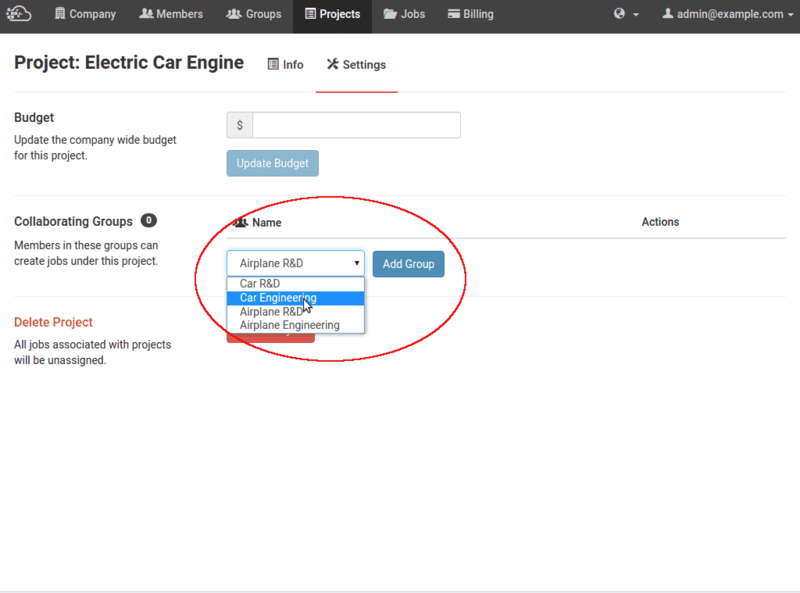 To recap, all of the Example Co. members will be required to select a project when creating jobs on the ScaleX Enterprise platform, and they will have to select a project that is available to one of the groups to which they belong. Their spending will be restricted based on the project selected. To begin leveraging the ScaleX Enterprise platform to scale simulations and manage projects, you can contact info@rescale.com or signup at www.rescale.com/signup.